Main objective of the projet is to leverage the innovation-driven entrepreneurial ecosystem in the Danube area by developing smart and coordinated cluster policies in the context of RIS3 , to enhance innovation management knowledge and skills and foster transnational cluster cooperation in Agro-Food sector. 3. Foster cooperation for clusters active on Agro-Food . THE OFFICIAL LAUNCH OF DANUBE S3 CLUSTER PROJECT TOOK PLACE IN SINAIA, ROMANIA! 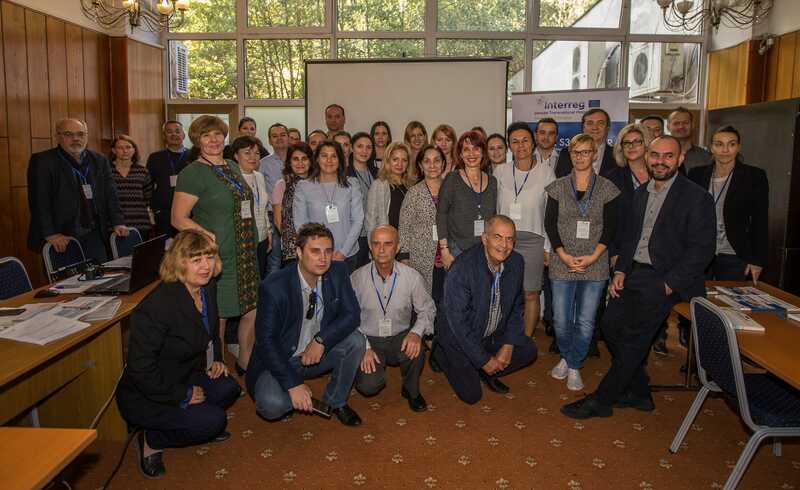 South Muntenia Regional Development Agency - Lead Partner of Danube S3 Cluster, organised during the 25th - 26th of September in Sinaia, Romania, the Launch Conference, Cluster Networking session, the Kick-Off Meeting & 1st Steering Committee of the project. At the Launch Conference participated more than 100 representatives of national and local public administration, business environment, agricultural research and development institutes, cluster representatives, chambers of commerce in the South-Muntenia region, as well as the Danube S3 Cluster project partners. EU Bioeconomy Strategy was reviewed in 2017 and the update was adopted in October 2018. The aim is to develop a sustainable and circular bioeconomy that serves Europe´s society, environment and economy. 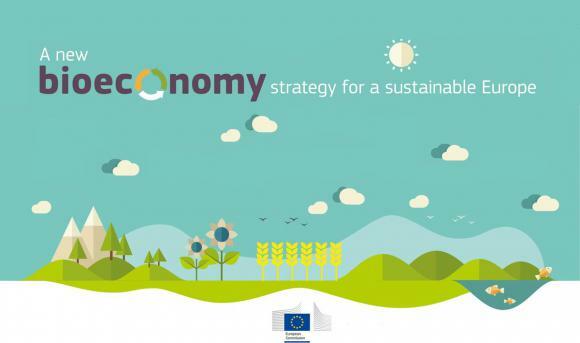 The new bioeconomy strategy is part of the Commission´s drive to boost jobs, growth and investment in the EU. It aims to improve and scale up the sustainable use of renewable resources to address global and local challenges such as climate change and sustainable development. 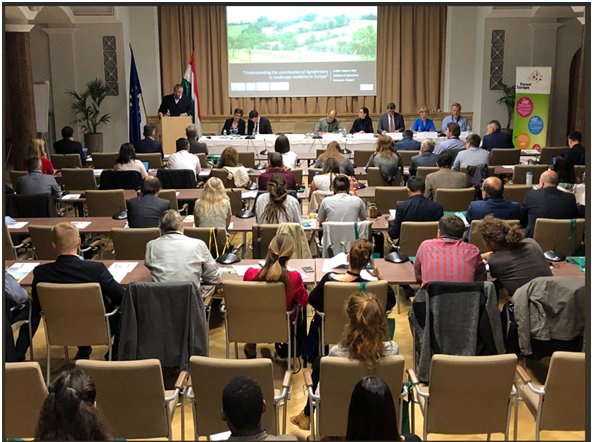 Joint FOREST EUROPE and FAO workshop entitled “Understanding the Contribution of Agroforestry to Landscape Resilience in Europe” was organised in Budapest, Hungary on 9 – 10 October 2018 with 80 participants. The event was hosted by the Ministry of Agriculture of Hungary. The aim was to face the modern challenges of agriculture focusing on one alternative solution: agroforestry. DG for Research and Innovation (EC) finalised a study mapping EU Member States´/ regions´ R&I plans and RIS3 on Bioeconomy in 2017. The information gathered within the report help to identify specialization patterns of European regions and countries (e.g. agro-food, blue bioeconomy, bio-based chemicals, etc.). In the frame of this study 22 case studies were also implemented, 1 of which in the Danube macro-region. Food.net:z was launched in March 2018 as the first cluster in the agro-food sector for the Rhine-Neckar metropolitan region in Baden-Württemberg, Germany. Food.net:z gathers enterprises from all sizes ranging from the startup to multinationals and covers the entire value-chain of the food industry including producers, manufacturers, distributors but also service providers, logistics companies and researchers. It also works transversally including diverse industry branches related to the food industry (e.g. production, marketing and logistics). On December 5 2018, Steinbeis 2i GmbH, Danube S3 Cluster project partner, and ClusterAgentur Baden-Württemberg support food.net:z in the organization of an internal technology transfer session in Walldorf between companies and research institutions that are members of the cluster. We are pleased to announce that the University of Maribor (Slovenia) and the Young Entrepreneurs’ Organization of the European Union, organize its annual “Pre-New Year's Research Fair”, which will be held on Friday 14th of December 2018 from 8.30 am to 1 pm at the Aerodrom Maribor d.o.o. in Orehova vas. The event will encompass a very broad range of activities to support mutually beneficial collaboration between researches from University of Maribor, business and public sector. The aim of the fair is to establish long-term and successful research and economic consortia needed for future development-oriented work and in terms of joint applications for projects financed from national and EU programs. 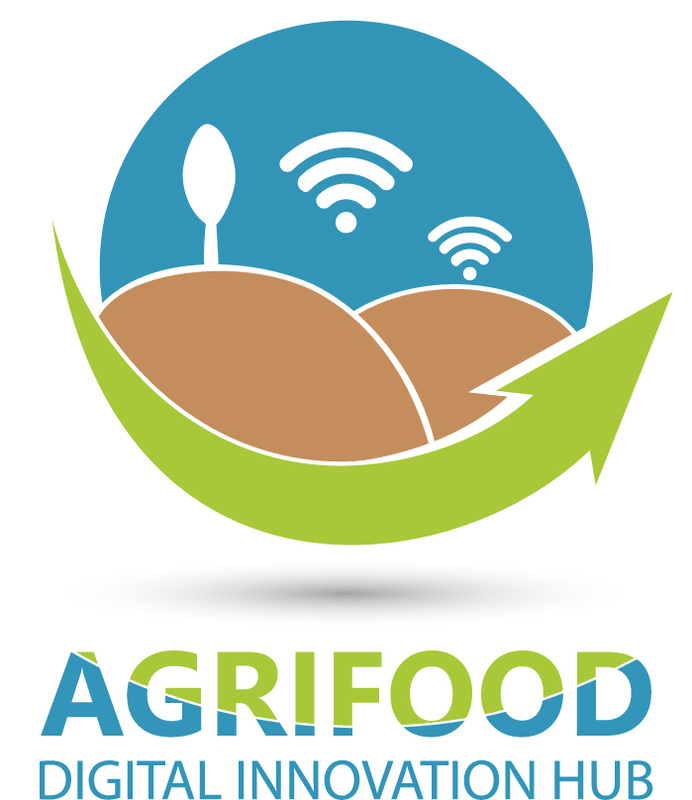 Digital Innovation Hub for Agriculture and Food Production – DIH AGRIFOOD was established in Slovenia in Pomurje Region in December 2017 to help support different stakeholders in the agrifood sector. The fact is that we need to produce more food with less resources and the only way to achieve this is through digital transformation. Farmers need to be supported differently in the future, so one-stop-shop providing customised services to them through a multipartner cooperation was established. Topics, that DIH Agrifood covers today are digital transformation, short supply chains and gastronomy. 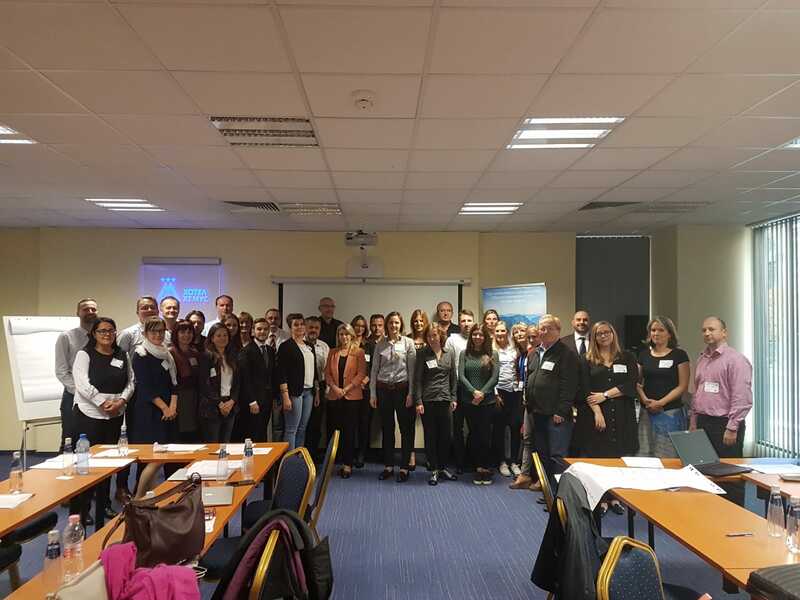 This December DIH Agrifood is having its first year anniversary and our wish also in the Danube S3Cluster project is to network, develop and promote clusters and DIHs in the agrifood sector with the goal to help support more stakeholders, include them in the digital transformation and exchange good practice examples between the partners of the S3Cluster project. On 17 October 2018, took place in Sofia, Bulgaria, the Pole 1 Capitalisation Workshop together with EUSDR Priority Area 8 “Competitiveness of enterprises” prior to the 7th EUSDR Annual Forum. The event was attended by the coordinators of Thematic Pole 1, 2, 3, EUSDR Priority Area 8 Coordinator, EUSDR Priority Area 7 and the representatives of DTP Joint Secretariat. During the meeting, were presented the projects financed under the Danube Transnational Programe, the projects’ achieved results, the main lessons learned and how to improve the capitalization. 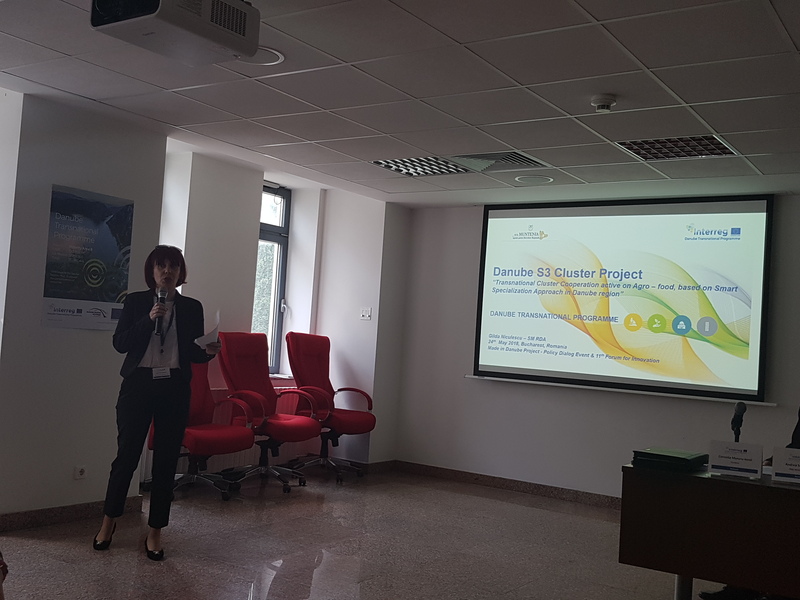 Gilda Niculescu representing South Muntenia Regional Development Agency Romania, Danube S3 Cluster Coordinator, presented the project and expected results during the Pole 1 Capitalisation Workshop. 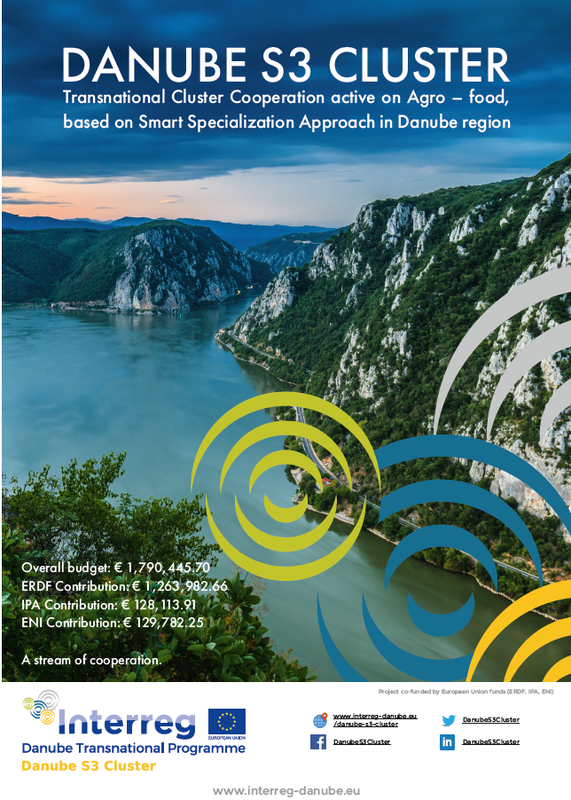 The Capitalisation Strategy (utilization of the results of one project in other projects) of the Danube programme is very important for all Danube S3 Cluster project partners. Romanian Minister of Agriculture and Rural Development Petra Daea had a two day visit to the Republic of Croatia at the end of September. Together with Deputy Prime Minister and Minister of Agriculture Tomislav Tolušić, they visited the producers of olive oil and wine in Istria. The two ministers discussed the proposal of the EU's Common Agricultural Policy after 2020, cooperation in the field of veterinary and food safety, and experiences in the area of market regulation and use of EU funds for agriculture. The first newsletter of the European Observatory for Clusters and Industrial Change (EOCIC) is out! The first edition of the European Observatory for Clusters and Industrial Change (EOCIC) newsletter follows up from the previous European Cluster Observatory. The aim of this publication is to provide, twice a year, a summary of the latest activities of EOCIC, as well as other cluster related activities undertaken. In the Southern and Northern regions of the Republic of Moldova, two new cluster models are already available. Clusters are located in Cahul and Soroca Districts, offering the opportunity to associate companies from the creative and textile industry to develop joint projects. The generation of the respective two clusters was done by the Organization for the Development of the Small and Medium Size Enterprises Sector by using the European Union Technical Assistance and Information Exchange Instrument (TAIEX). The cluster's members will benefit from several advantages: strategic cooperation opportunities with other companies and service providers, joint marketing at local, regional, national and international level; direct and timely access to information; joint participation in national and international fairs; the accumulation of additional skills; new ideas and knowledge to diversify and improve the quality of the services provided; introduction of new technologies; access to public and private funds and other services.